As we get ready to head into the July 4th holiday weekend, we thought it would be fun to look at some little known American history and stories. The first draft of what would evolve into the Declaration of Independence was called the Lee Resolution, named after Virginia statesman Richard Henry Lee, and it was simply a legal declaration of separation of England. The Continental Congress approved it on July 2, 1776. John Adams was so elated over the Lee Resolution that he wrote to his wife Abigail predicting that July 2 would forever be celebrated across the continent with great pomp and circumstance. The Declaration of Independence was the formal announcement of declared independence from England, and its text was approved on July 4th. The copy of the Declaration of Independence that we all know wasn’t actually drawn up until July 19. It was signed on August 2. While Adams missed the date by two days, Americans started celebrating Independence Day on the 4th a year later, in 1777. July 4th became a federal holiday in 1870 and a paid holiday in 1938. Former presidents Thomas Jefferson, John Adams and James Madison all died on July 4 (Jefferson and Adams died on the 50th anniversary of the Declaration of Independence); Calvin Coolidge was born on July 4. 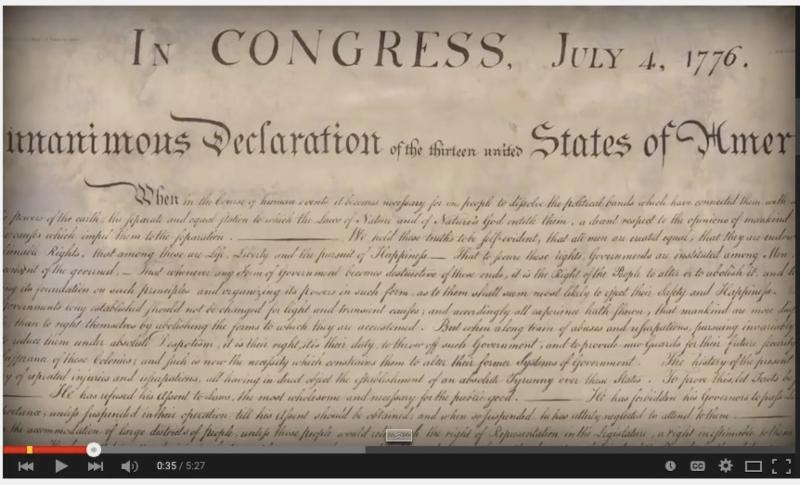 Watch the video for more fun facts about July 4th. In the dedicated section below, we take a look at all sorts of fascinating, lesser-known moments from our country’s history. From the critical role Native Americans played in the birth of football, to how the rollercoaster was invented to save your soul, to the rarely discussed Nazi POW camps on American soil, where Nazis had a grand old time. Many of the links will take you to podcasts – great audio content to load up on your phone for any summer road trips you have planned. We hope you enjoy and emerge well armed with interesting trivia. For more ways to unwind over the holiday weekend, we’ve also included the best and most unexpected from the crop of commencement speeches this year. Happy Independence Day! Wishing you and yours a safe, relaxing holiday. Just a few years ago the world sat on edge of too big to fail. Soon after, too-small-to-fail Greece looked like the first domino in a chain that would crash down global sovereign debt markets. If Greece defaulted, then interest rates would rise to reflect true sovereign credit risk. If interest rates went up, then the next weakest sovereign nation (Portugal at the time) would default. This would cause interest rates to rise again, creating the next default, and on and on and on and on, until there was no more value on what we have come to depend on today – fiat currency, money as we call it, but money that has no collateral beyond faith in government to support it. The Greek domino put the entire European banking system at risk, which put the entire global banking system at risk. Through various forms of monetary and regulatory manipulation, Europe was saved from this too-small-to-fail crisis. The latest of that effort allowed the European Central Bank (ECB) to purchase sovereign debt from European banks, effectively taking the credit risk out of the banking system and putting it on the central bank balance sheet. But who really is the ECB? It’s not the Federal Reserve, as the EU is itself not a country. Enter the Greek anti-austerity government that voters recently put into office. Greeks have become tired of EU/ECB mandated increases in taxes and reduced social benefits, put in place so that certain European banks, and now the ECB, don’t have to mark down the value of Greek debt. If Greece gets debt forgiveness, then other over-indebted European countries will surely ask for the same, which would put us back under the threat of falling dominos. This is the current battle being played out. Greece can’t pay back the debt. Austerity makes their economy weaker. The ECB and European banks can’t afford to forgive Greek debt without then likely having to forgive other sovereign debt. The moral of this story is that when governments do not have the wherewithal to enact productive economic and industrial policy, the responsibility for economic sustainability falls on the back of central banks. But rather than a cure for economic malaise, monetary manipulation creates false economies, and false economies are not sustainable. The EU and Greece are at war. This will not be good for the European economy. China’s economy is slowing faster than many expected. Brazil is reeling from their latest version of government and private sector corruption – a recurring story the world seems to forget every decade or so. None of this is good for the global economy, yet the US economy is creating so many new jobs that the Fed seems pretty committed to raising interest rates very soon. But every time the Fed looks deeper into the data, they keep finding job growth dominated by low wage rather than higher wage sectors. Restaurant job growth is hot. But what restaurant worker is making enough money to go out and buy a lot of stuff? The hiring market has improved since the last recession, but the quality of jobs has severely waned. Growth continues to be dominated by lower paying jobs and by temporary jobs, rather than permanent jobs that build confidence and drive consumption. For the last couple years, each Christmas season has been followed by a consumption collapse in the first quarter. Should this be telling us anything? It should be telling us that our economic policy is so poor that we seem to be left with a form over substance economy. Monetary stimulus keeps the game going, but the great majority of jobs it’s creating are not economically inspiring. Whenever you have a very large and very complicated problem, the best way to solve it is by breaking that problem into smaller, more manageable parts. This is the plague circling the EU and ECB. They have created a very complicated and large infrastructure of bureaucratic leadership and regulation that in the end doesn’t service or support a real economy or its constituents, or at least those populations it’s gained control over by political sleight of hand. Taxation without representation is the name of the game in Greece. What can we learn? Keep It Simple Stupid. The more complicated and large we live, the more risk we put on our own personal sustainability. Less truly is more when too much more begins to dominate our life. A mainstay of 4th of July celebrations around the country, fireworks feel as American as apple pie. But they’re actually a Chinese import (although importing from China feels as American as apple pie thee days) and a tradition we learned from England. 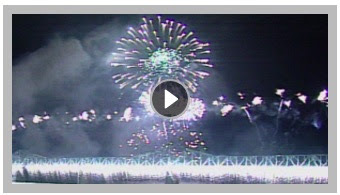 Watch this brief video for the accidental origin of fireworks in China 1,000 years ago and for how they evolved from a tool used to ward off evil spirits to a symbol of American independence. As you enjoy your local fireworks display this weekend, know you’ll be at one of about 14,000 fireworks displays happening around the country. Speaking of apple pie, it too has an un-American history. The Pilgrims brought apple seeds over from Europe (thank you, Johnny Appleseed for planting apple orchards across 10,000 miles of American frontier), and it’s believed the Greeks created the pie pastry to transport meat over long journeys. The first apple pie recipes are known to have come from England. At least we can claim the phrase “as American as apple pie” as our own: it’s said to have been coined by Abraham Lincoln. In 2014, on days they worked, 23% of employed persons did some or all of their work at home, and 85% did some or all of their work at their workplace. In 2003, the first year for which comparable data are available, 19% of employed persons did some or all of their work at home, and 87% did some or all their work at their workplace on days worked. Employed persons worked an average of 7.8 hours on the days they worked. More hours were worked, on average, on weekdays than on weekend days – 8.1 hours compared with 5.7 hours. On an average day, 83% of women and 65% of men spent some time doing household activities such as housework, cooking, lawn care or financial and other household management. On the days they did household activities, women spent an average of 2.6 hours on such activities, while men spent 2.1 hours. On an average day, nearly everyone age 15 and over (96%) engaged in some sort of leisure activity such as watching TV, socializing or exercising. Watching TV was the leisure activity that occupied the most time (2.8 hours per day), accounting for more than half of leisure time, on average, for those age 15 and over. Socializing, such as visiting with friends or attending or hosting social events, was the next most common leisure activity, accounting for 43 minutes per day. In 1881, devout Christian LaMarcus Thompson was disillusioned by the way Americans were choosing to spend their free time: at saloons and brothels. Feeling called to find a solution, Thompson was inspired by a coal-shipping railroad that had a 665-foot drop. Pulled by the force of gravity, its cars went 30mph to 60mph down the drop, far faster than the average speed of the horse and buggy. Eventually, passersby began hopping on the cars for a thrill. 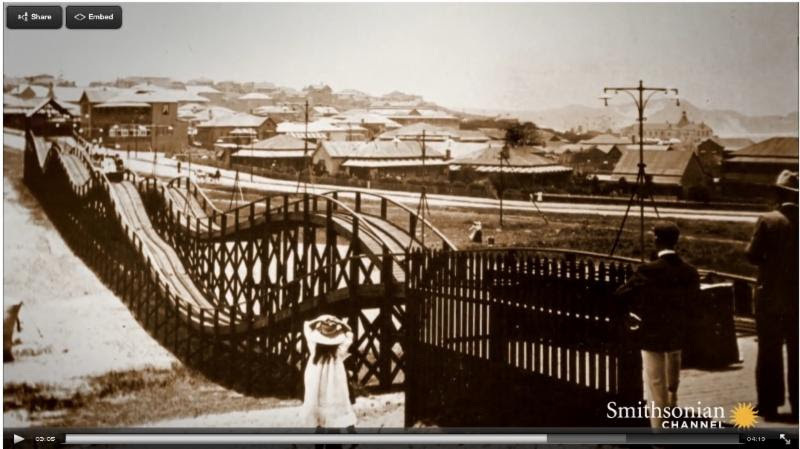 The railroad started charging $1 to ride the track. It became the most popular tourist attraction in the country. The appeal of the railroad provided the answer Thompson was seeking to save Americans from sin and debauchery. He conceived of the world’s first rollercoaster and installed it at the capital of drunken brutes and loose ladies: Coney Island. In 1884, Thompson’s ride opened. It became an instant success. Once word got out of the thrilling “Switchback Railway,” Thompson began making the modern equivalent of $15,000 a day. After building 50 rollercoasters worldwide, Thompson became the world’s first rollercoaster millionaire. Before women played as stand-ins for soldiers fighting in WWII, baseball gave its first professional contract to a woman in 1931. The minor league Chattanooga Lookouts signed 17-year-old Jackie Mitchell, who’d caught the coach’s eye for her lefty, “drop ball” pitching. 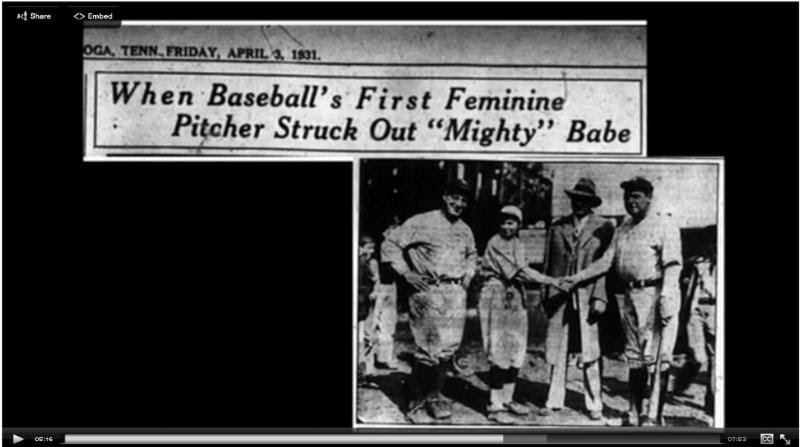 Her first game was an exhibition against the New York Yankees. After pulling out a mirror to powder the sheen from her nose, Jackie faced her first opponent, Babe Ruth, whom she struck out. Then she faced Lou Gehrig, whom she struck out. Or did she? Watch the video for the full story and its conspiracy theories. No matter the truth, Jackie was one brave 17 year old. Once the Civil War and the aggressive campaign to push the American frontier west waned, there was concern American men were losing masculinity. Violent sports began cropping up all over the country to restore some manliness, including a rugby-like game—but more ferocious—being fought out on Ivy League fields. Meanwhile, General Richard Henry Pratt opened the Carlisle Indian School in 1879 in Pennsylvania to assimilate the very Native Americans he’d just defeated to near extinction in the Indian wars. Through Carlisle, Pratt hoped to strip Indian children of their “savage” heritage and “white-itize” them. His efforts were sincere, if not misguided, in their intent to help a devastated race. To keep the students healthy, the school introduced football. In 1896, the Carlisle team faced off against the best football team of the day—Yale. While the Carlisle team lost thanks to a biased call from the former Yalee referee, they walked off the field to a standing ovation. Glenn “Pop” Warner joined Carlisle as head coach. Through his clever, borderline illegal plays, Carlisle’s record greatly improved. But the game continued to get uglier; in 1905, 19 players died on the field. One key change would save the game and evolve it into the version we so fervently watch today: the pass. Click here to listen to or download the podcast of America’s favorite pastime. Even the non-fan will enjoy. 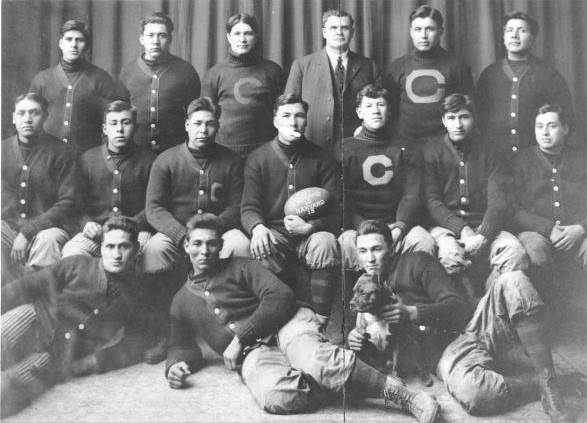 The 1911 “Carlisle Indians.” Then coach “Pop” Warner third from right in the top row. In June 1943, with most of Aliceville, Alabama’s 1,400 residents watching nervously, hundreds of Nazi POWs goose-stepped off buses. Fear quickly turned to something more complex when residents saw a pack of young, haggard looking kids…yet, who were killing their sons. What do you do when the enemy is literally living across the street? The Aliceville camp was one of hundreds throughout America during WWII, and it illustrates the now rarely discussed experience across many. At one point, there were over 371,000 Nazi, 51,000 Italian and 5,000 Japanese POWs across all states but Vermont. 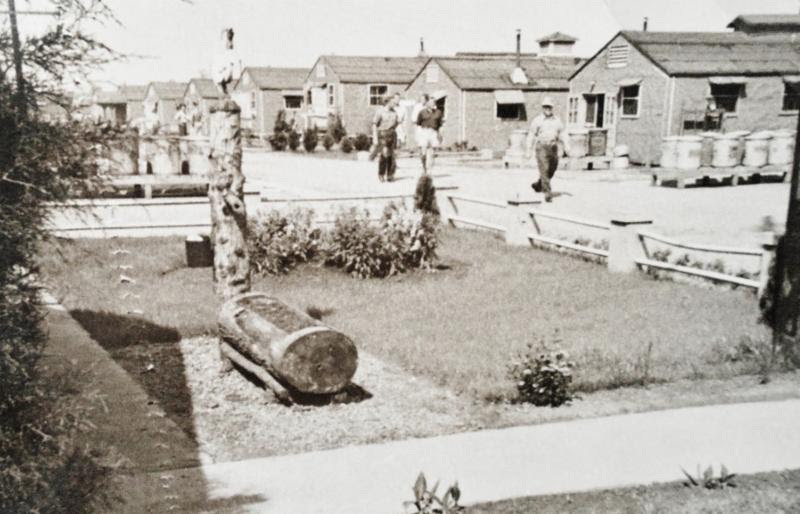 Through September 1945, Aliceville hosted 6,000 Nazi POWs. Thanks to the Geneva Convention, Aliceville POWs were eating so well they began hiding food they couldn’t finish. Within a year, they’d formed three orchestras. They opened a school where they could learn pottery, math and most any language, to name some. They played soccer to huge crowds, started their own newspaper and put on plays. At one point, Hitler even sent $12,572 to Aliceville to fund an art exhibit. In 1943, we began running out of men for labor. So many people across the country turned to the POWs for paid labor. In turn, friendships, and even some romances, blossomed. Scene of daily life in a POW compound in Camp Aliceville. The POWs did extensive landscape in the camp. Word got out about how well the prisoners were being treated while rationing was happening in the US. A debate started about the Geneva Conventions: are we merely coddling our enemies or strategically working to keep our own POWs safe in their captors’ hands? Click here to listen to or download the fascinating podcast to learn how we decided to treat Nazi POWs once the horrors of the Holocaust emerged, the difference in treatment of Japanese citizen POWs and more about the roots of a debate that remains today around Guantanamo Bay. 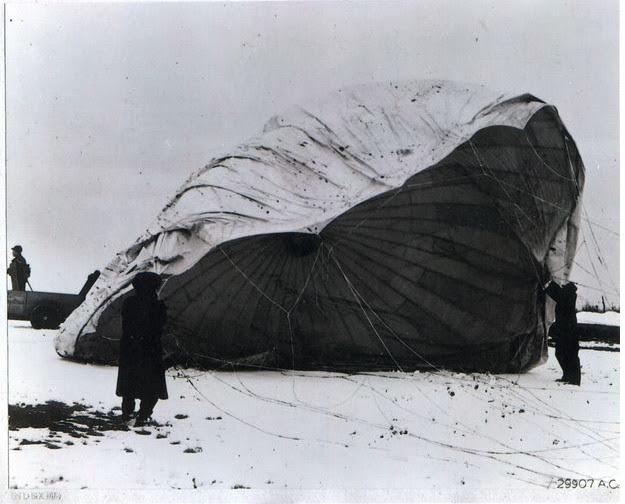 In December 1944, three miners in Thermopolis, Wyoming heard a whistling sound over their heads, followed by a massive explosion and a cloud of dust under a hovering parachute. This would be the first of many recorded sightings of bomb-balloons across the country. Several witnesses in Arizona, Colorado, Nebraska, California, Montana, Michigan, Idaho and more reported similar, mysterious accounts. The balloons were 30-feet in diameter, with 40-foot ropes and a heavy metal chandelier carrying explosives. Once they were able to obtain one, military researchers determined it was of Japanese origin and surmised that the newly discovered jet stream was how Japan managed to land these bombs on American soil. All told, 9,000 “Fu-Go” balloons were launched to American shores in an attempt to rain terror down on Americans in retaliation for the Doolittle Raid. Fortunately, the campaign was a near total failure, with all balloons landing in the middle of nowhere. Save for one balloon that tragically killed six people, five of whom were kids, on a picnic in the small town of Bly, Oregon. Click here to listen to or download this captivating podcast about tragedy in a sleepy town and the government and media’s handling of the first terrorist attack in the continental US. While technically Cuban history, this jaw-dropping story feels relevant as we attempt to normalize relations with Cuba. In the 1980s, some model Cuban kids got their hands on music from Led Zeppelin, the Rolling Stones and other emblems of rock-n-roll. “Los Frikis,” or “the Freakies,” a standard youth rebellion movement with kids in torn jeans, long hair and ripped t-shirts, were born. When the Cold War ended in 1987, Castro doubled down and splashed his slogan, “socialism or death,” all over the country. Police were installed to punish anyone demonstrating any non-socialist behavior. Rock-n-roll became seen as protest. Los Frikis were regularly beaten for doing nothing more than having long hair. Meanwhile, the Cuban government was fighting a U.S. proxy war in Angola. Some soldiers returned to Cuba HIV positive. The government began force-testing Cubans for HIV and sending those who tested positive to prison. This is where things get really strange: key members of Los Frikis decided that if they couldn’t live freely as rockers, they’d inject themselves with HIV in protest. Eventually, the prevailing thought was if you wanted to protest Castro as a Friki, you had to have AIDS. Click here to listen to or download the podcast and learn of Los Frikis’ brief elation in their counterculture cause, until the devastating realities of AIDS befell them. Gallup found that 57% of Americans are noticing a meaningful difference in their finances thanks to lower gas prices. However, the personal benefit is not extending to total economic benefit, as overwhelmingly, people are directing gas savings to personal savings and debt pay-down. 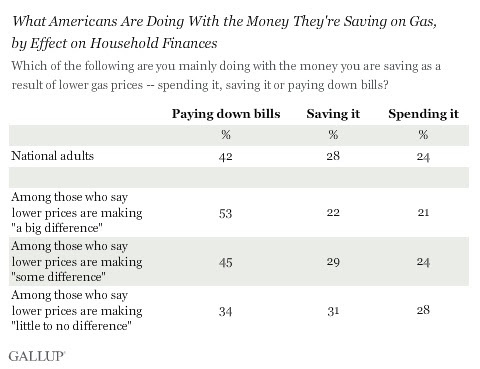 Gallup also found that the more an individual feels the benefit of gas savings, the more likely that person is to use it to pay down debt. Since 2012, Fed officials have used “dot-plots” in an attempt to prepare markets for eventual rate hikes. 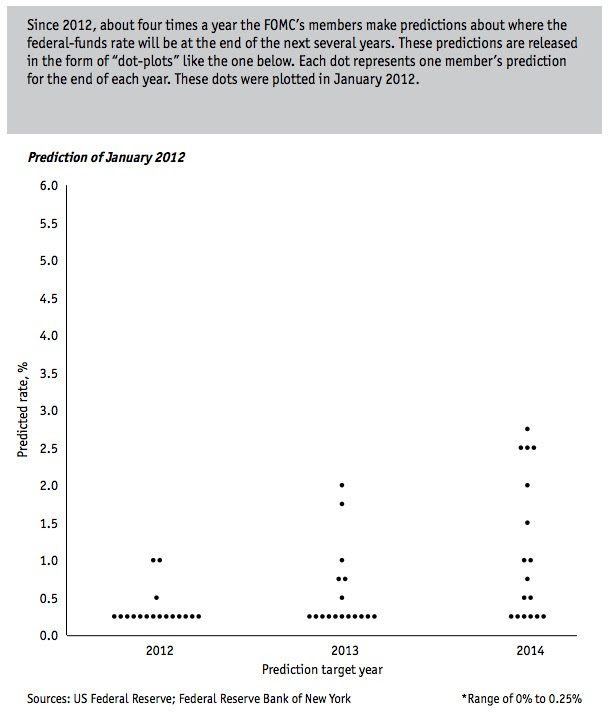 The cryptic charts show where Fed members think the benchmark interest rate will land in ensuing years. The Economist put together a series of interactive charts to explain the mysterious dot-plots in depth. Follow the link to access the full suite of charts. When you make a mistake, do you immediately get defensive and blame someone else? If so, you’re a less effective leader than those who takes responsibility. Read on about how defensiveness inhibits “learning agility,” the mindset that helps people grow into effective leaders capable of tackling big problems and making progress. New research about performance reviews found that employee ratings tend to cluster around average to slightly-above-average marks, generally leaving staff demoralized and unmotivated. 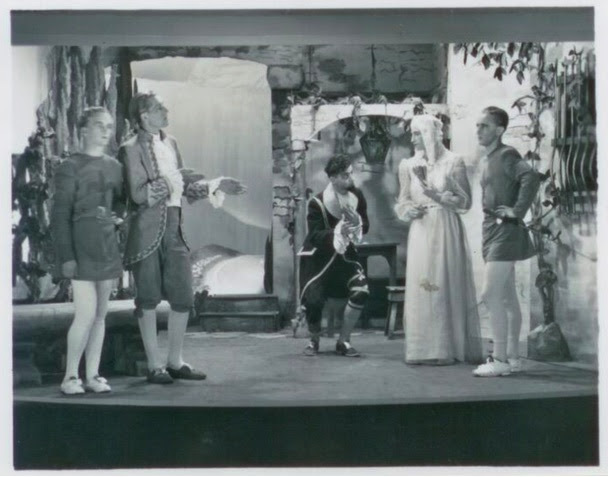 Reviews are reduced to not much more than an uncomfortable formality that devolves into a formula. The author of this research advocates scrapping reviews entirely and replacing them with frequent, informal conversations immediately after a mistake or issue. Regular, casual feedback has been shown to motivate improved performance. Between 2003 and 2013, the number of self-employed jumped 24% to 23 million. This trend reflects the widening desire for more control over a career and more work-life balance. It also reveals the once-held belief that freelancers are slackers is dead; companies now routinely seek the fresh ideas of an outside perspective, with low long-term commitment or cost. Flexibility for companies may provide flexibility for you. Just remember: if you freelance, you have to mange your personal cash flow shrewdly. A new industry based on sharing is expanding to meet the preferences of the roughly 77 million millennials who opt for “no ownership.” Saddled with college debt and chastened by the 2008 crash, millennials put little value or cache on owning much of anything, and instead prefer to rent, borrow or trade goods. This trend is extending beyond housing and cars to things like clothing, electronics and appliances. The sharing economy and the “NOwners” who drive it may totally disrupt retail as we know it. 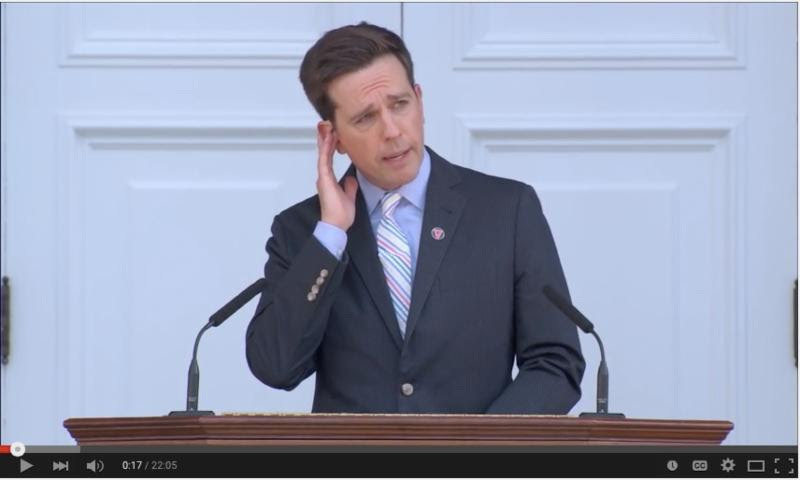 The winner in this year’s unofficial best graduation speech contest goes to actor Ed Helms. His substantive, but still witty, speech is well worth the time. He skewers Rolling Stone for their baseless attack on the very UVA students Helms is urging never to let others define them. And he fends off a killer bee. 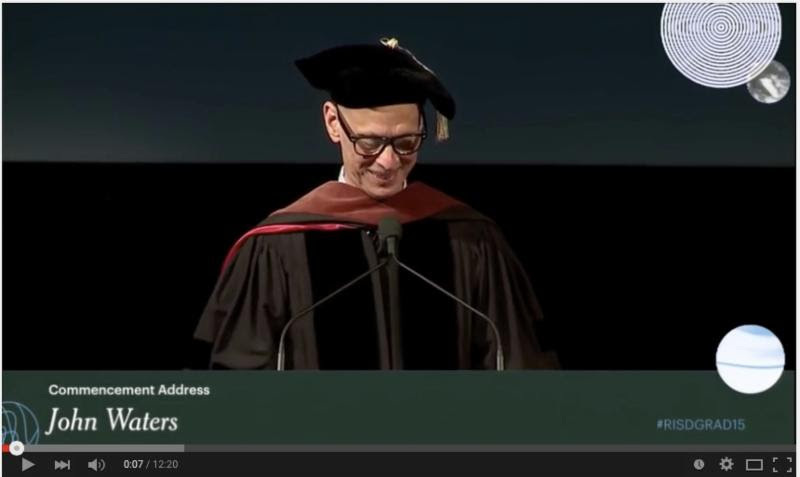 Noted eccentric screenwriter and director, John Waters, gives a surprisingly and refreshingly politically incorrect speech to a class of creatively minded graduates. In what seems off-script, Waters urges his audience not to hate the rich, but instead to hate jerks, no matter their bank account (or lack thereof). He also takes on the absurdity of the “trigger warning” taking hold on many college campuses. 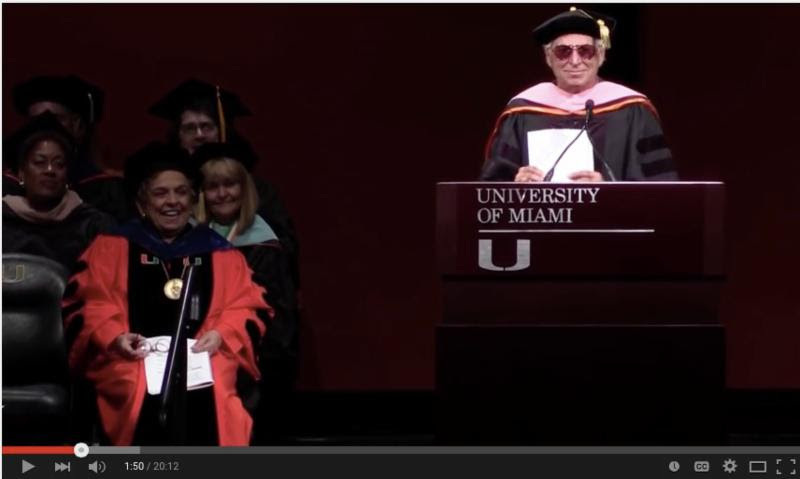 Donning flip-flops and sunglasses, Jimmy Buffett shares the stories behind his “checklist for the ever-elusive future.” He strongly encourages graduates to see the world, noting that only 5% of Americans have left the country. Seeing the world, Buffett says, expands your thoughts and perceptions in ways that can change the course of your life. 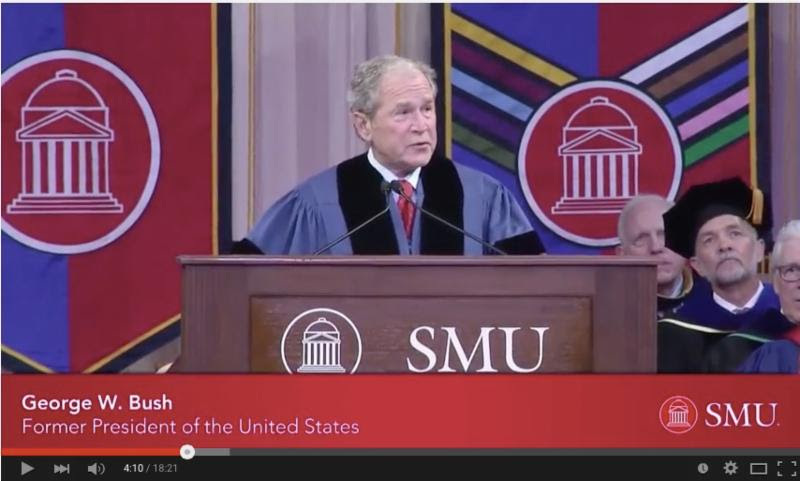 President Bush spoke to Southern Methodist University graduates about the importance of responsibility to your country, fellow citizens and family. He stresses that to maintain our freedoms, we must participate in civic life. 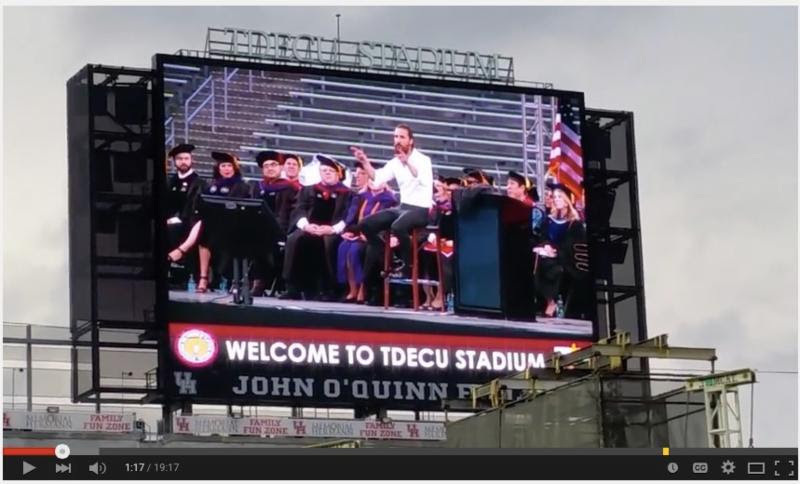 And he has a special message for “C” students: they, too, can be president. 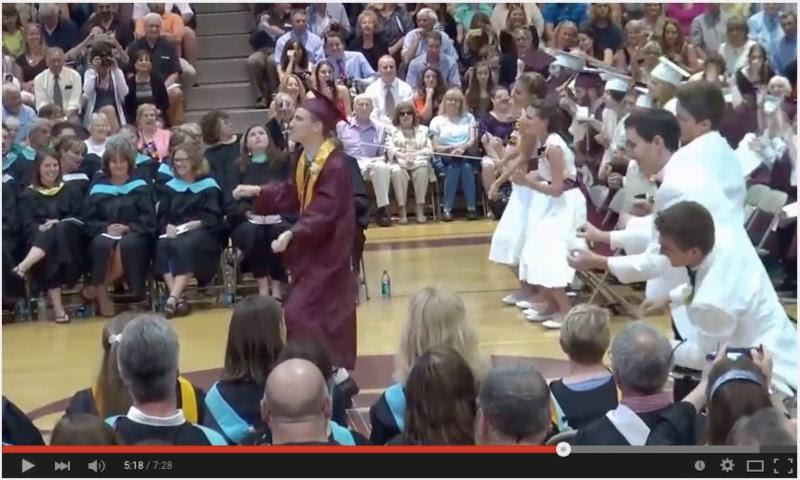 We’d be remiss not to include this sweet and wise-beyond-years high school graduation speech from the valedictorian of Portsmouth High School in New Hampshire. Unfortunately, the start of the speech is cut off, but his youthful insights and the flash mob ending makes it all worth the while.